I’ve seen so many brides purchase these personalized hangers lately, so I decided to take a stab at creating my own. The craft is easier then you think, check out the tutorial and let me know how yours turns out. Thank you to my bride-to-be friends for letting me use their names for the hangers! Oh, don’t forget to subscribe to the YouTube Channel, the goal is to get to 1,000 subscribers! Create a template. Measure out the length of the hanger and then leave 2.0 inches of space on each end. This will act as your guide as you create the name when wrapping the wire. Take you wire and measure out 2.5 inches on the start end. Start to shape the letters. This wire is really flexible so you can just use your hands. If additional help is needed, then use the pliers. I suggest using lowercase script for beginners. Drill hold bout 1 inch from each end of the hanger. Trim access wire, add glue to hole in hanger and secure wire into place. Your first time trying this craft will take you about 1 hour. Once you get the hang of shaping the wire, you will cut down on your time tremendously. It’s okay if they craft has a more rustic/handmade feel, it doesn’t have to be perfect! Paint the hanger (before you start the craft) to match the wedding colors. There was wire left over so I used it to make “place cards” for the bride and groom. 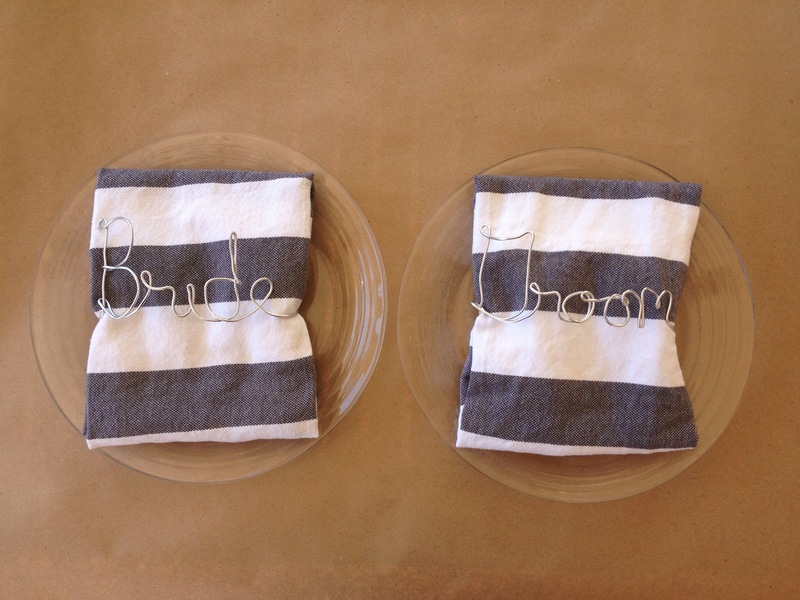 Leave a comment and let me know if you have any other ideas for how to use the wire to personalize your big day.